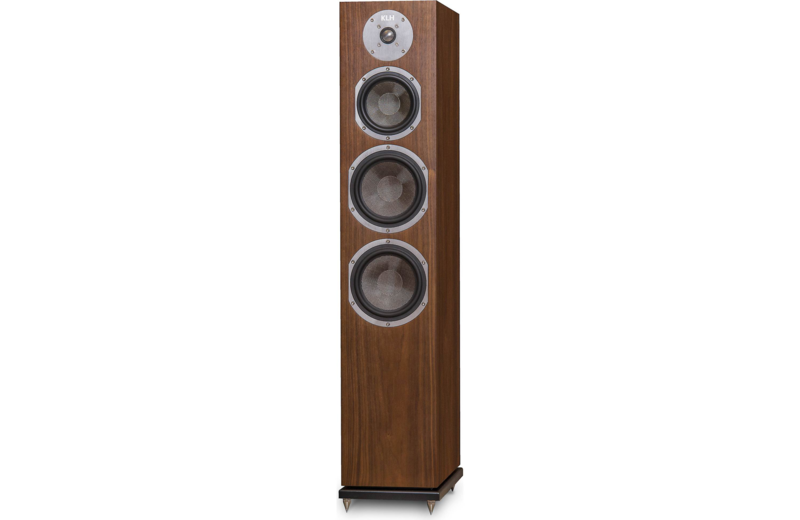 Anybody here "hear" the new KLH towers? I get more interested in the 3 way speaker designs the more I read about them but there aren't many out there to choose from, so it seems. I have nothing better to do than mess around on the computer tonite and came across the KLH Quincy. 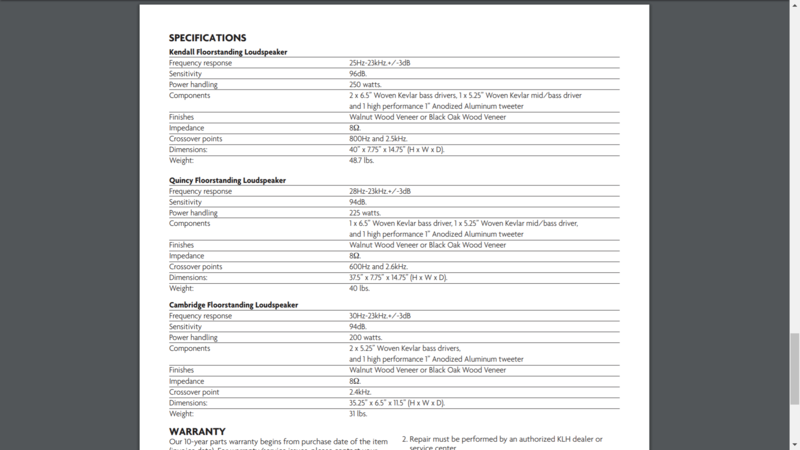 The only thing that bothers me is the aluminum tweeter, it sounds harsh to even say it. Anyone here have any experiences/opinions? 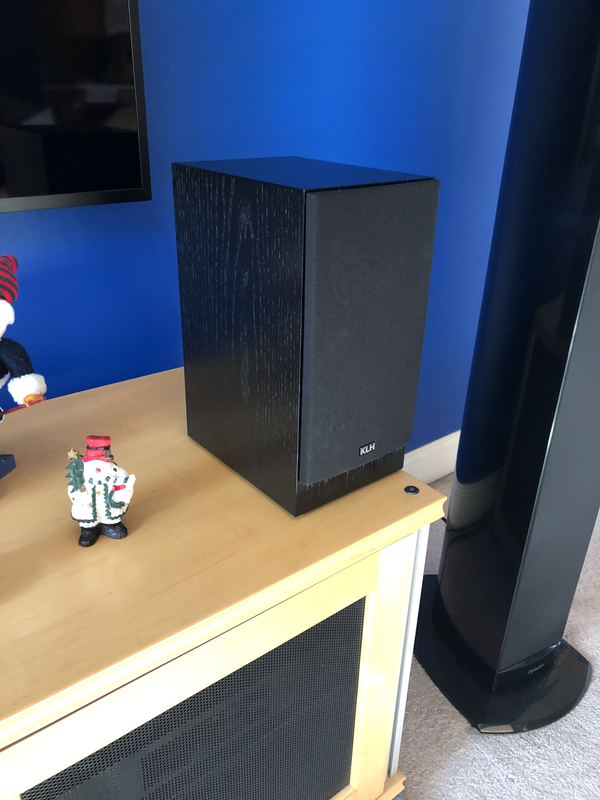 There's hope for them (the new KLH, that is), by the looks of things... but haven't heard anything about them very recently. Are the products actually on the market (i.e., available for purchase)? On the other hand, my son brought me another pair of KLH Sixes that he picked up at some thrift store down his way (central Virginia) when he came home for the holidays. He's a good lad, he is. PS There are still some very nice three-ways on the market. These spring to mind, e.g. Daayamm, those look super sweet, but, daayamm, those retail for more than each vehicle I ever bought, exception of two. I saw them on a variety of websites, Crutchfield, Amazon, etc... They are, supposedly, trying to get back to the foundation, if you will, of when Mr. Kloss was there. Yes, I know ('bout the new KLH) -- lots of press about a year ago; haven't heard much lately, though. mmmmm -- less than 500 smackers a pop (tho' out of stock at the moment). Why not give 'em a go? Re: cars - I won't pay more for one than we paid for our first house ($41k). So far, so good. 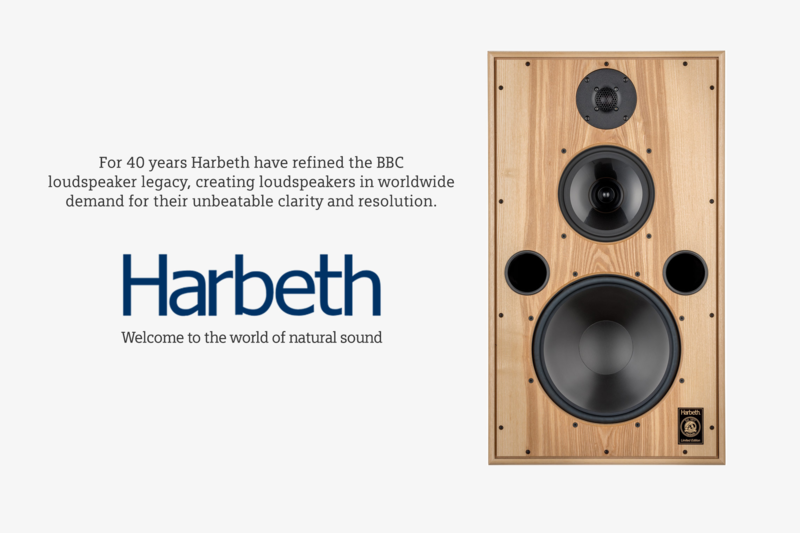 I do think the Harbeths are the way to go, though, if one wants a three-way Maybe check the used market? 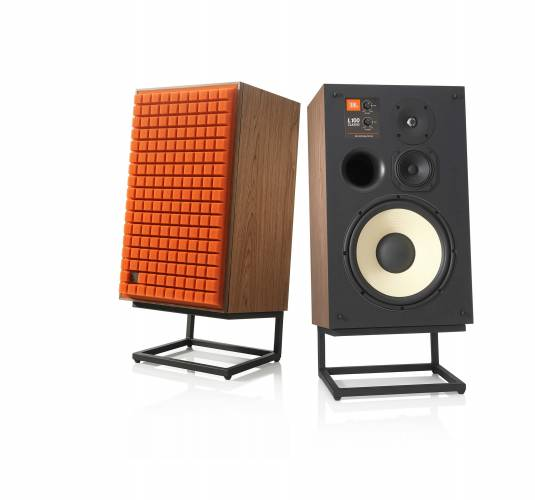 Then again, there're the new JBL L100 Classics too. I mean, heck, they couldn't be worse sounding than the originals, could they? I have heard the jbl at Axpona. Very different animals vs the original. Fun speaker. I have a pair fo the brand new Book shelf in the Albany's. They are a nice little speaker with very pleasing sound. Weak bass but a nice sub woofer would fix that. 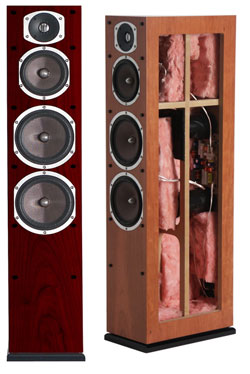 I pull the speaker wires off the Mythos ST towers but leave a sub feed there, put the AVR in small 80hz and they sing. Interesting. I refreshed my memory on this/these. Guess they're more recent than I thought (2018, not before). 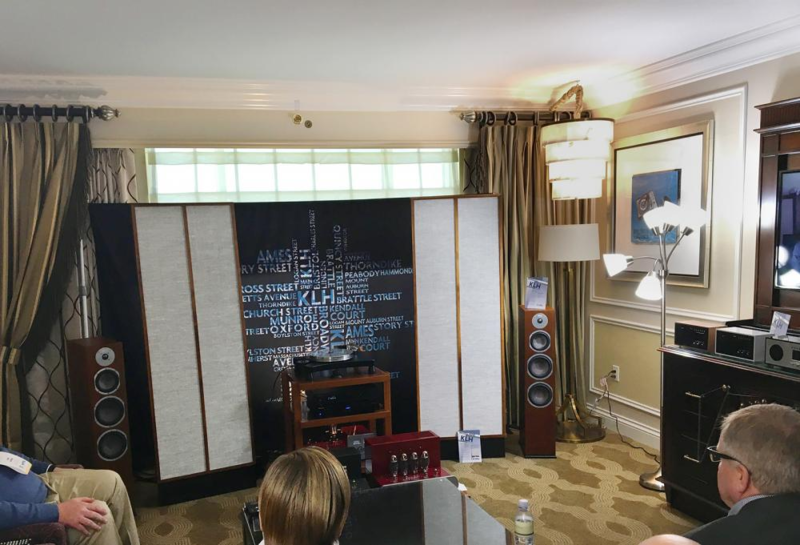 I guess some of the new KLH line are reboots of some previous "Energy" models, and the management team is largely ex-Klipsch (who, at one time, owned Energy). Their specifications seem to be a bit optimistic. On the other hand, the new KLH is building (or intends to be building?) reboots of the KLH Nine electrostatic, and (apparently) involving David Janszen, son of Arthur Janszen, the Nine's original designer (and both Janszens electrostatic manufacturers, in their own rights). That's pretty ambitious. I am the proud owner of a new pair of KLH Cambridges. They are the lowest tier of their floor standing towers. In a word they sound fantastic. I like them so much that I have been posting all over the internet singing their praises, for there seems to a lot of snark out there from folks who have not listened to the new KLH line. As I write this I am listening to, ironically, "Listen without Prejudice" by George Michael. The bass is full and well defined. The detail is amazing and the soundstage is decent. 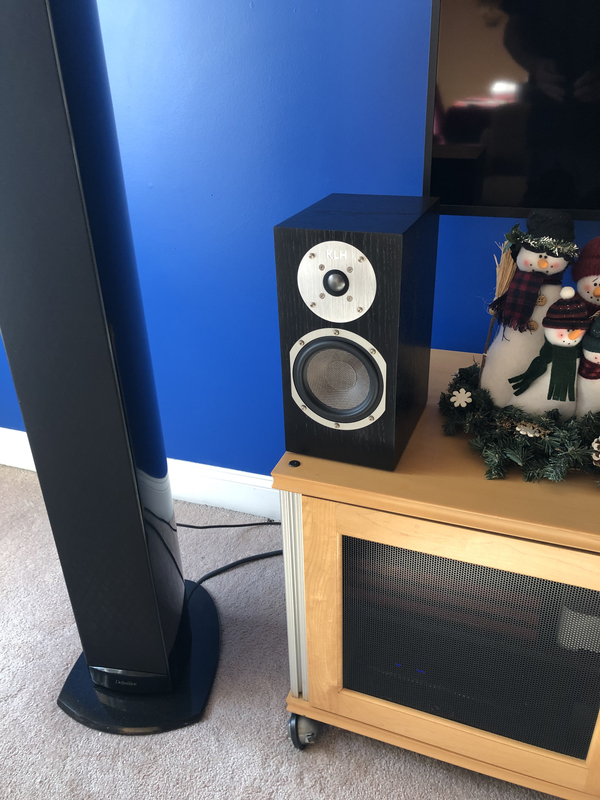 I do not have golden ears and it has been a long time since I have had a decent rig, but to me these speakers are great. They seem to really take off with a some volume. Pump some sound through these and it becomes a transcendent listening experience. 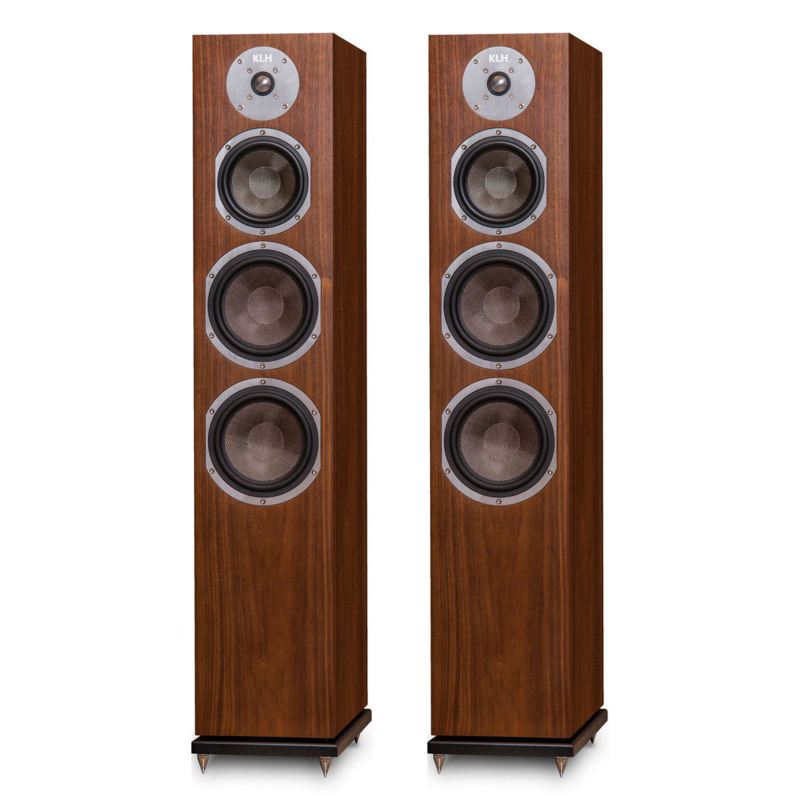 I compared these to comparatively priced Polks, Wharfedales and Klipsch. These were the clearest, most detailed of the lot, and their bass was every bit as good as the Klipsch. But don't take my word for it, go and give them a listen. One last thing, the demo room I was in had the speakers behind a screen, but when I finally saw them they were hands down the most beautiful pair of the bunch.